The Atlanta Journal and Constitution’s Editorial Board came out on Monday in favor of legislation currently pending in the Georgia General Assembly that would toughen penalties for teenagers who are caught not wearing their seatbelts while they are driving or riding in a car. The legislation, HB 924, is currently “dead” because it was not passed by one house prior to “cross-over” day, the deadline for legislation to pass at least one house to be considered by the other house. The sponsor of the legislation, Representative Melvin Everson (R-Snellville), will be looking at other bills still alive to which he could attach his seatbelt legislation. This legislation is a good idea. As both a personal injury trial lawyer in Atlanta and a mother of a teenager, any law that would stiffen penalities for teenagers who don’t wear their seatbelts will save lives. Too often I have sat here in my office with parents who have either lost a child or had one seriously injured because they weren’t wearing their seatbelts at the time of a car wreck. Parents often tell me they insist on their children wearing seatbelts while riding with them, but it is a different story when those same teenagers are in a car with their friends. Their parents’ rules of wearing seatbelts are quick to fly out the window. And it has been proven in recent medical studies that teenagers simply don’t have the brain development necessary to be able to make good judgment calls, such as always wearing seat belts. These new studies show teenagers are more likely to demonstrate impulsive behavior rather than sound judgments because the frontal lobes of their brains, that area where high thinking or executive functioning takes place, is not fully functional during teenage years. Teens simply don’t have the appropriate level of brain functioning to make good judgmental decisions such as always wearing their seatbelts. 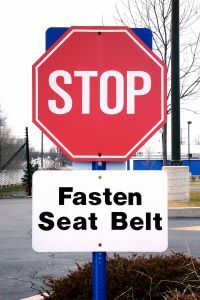 Perhaps tougher penalties for not wearing seatbelts would get through to them, such as points on your driver’s license? Seems like that would get their attention. I am in favor of any legislation that toughens penalties for failure to wear seat belts. Simply put: seat belts save lives.